Hey guys! I hope you all had a fab Christmas with all your family and friends. Hopefully you got lots of nail goodies to play with over this Christmas break or maybe money that you can spend on nail stuff lol. I have a few things myself to being playing with and reviewing...all will be revealed soon. 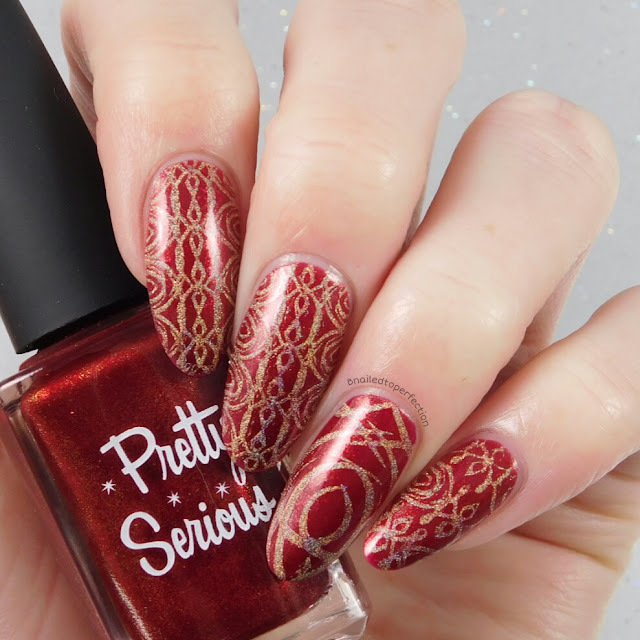 For today I have a review of Uber Chic collection 13 sent to me by Nail-Artisan. As with all the Uber Chic sets, you get three plates that are 9.5cm by 14.5cm and the full size images are 17mm x 21mm, with coordinating images down the middle. For my first mani with this collection I used plate two and teamed it with Jack Frost by For Your Nail Only. To colour in the little diamonds I used Bettie Pain Polish, Flight of the Navigator. I really loved these images together and they are just so girly! 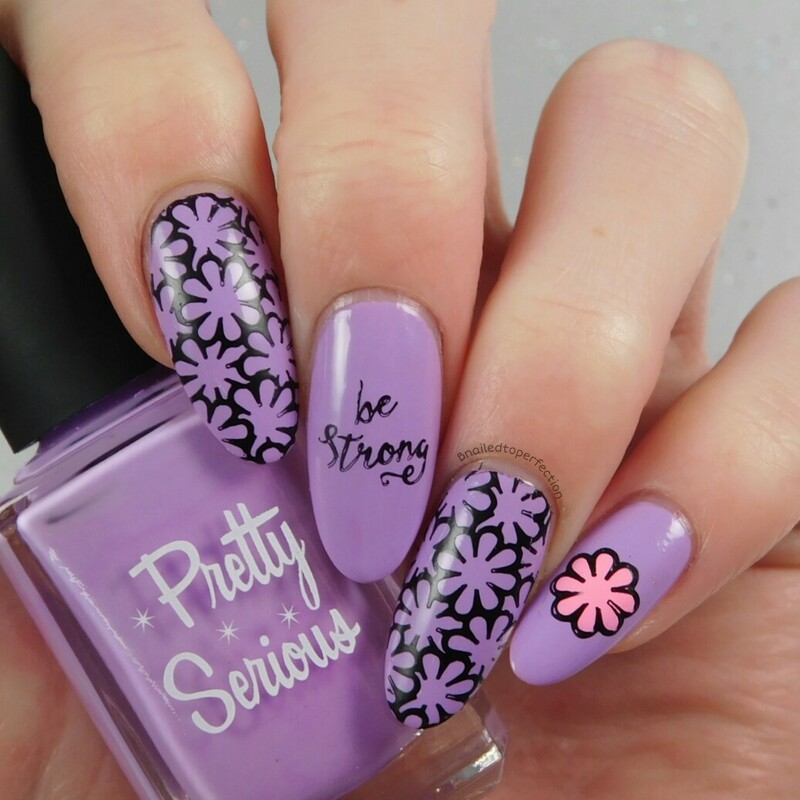 I used some lovely flowers from plate 3 for this simple mani. 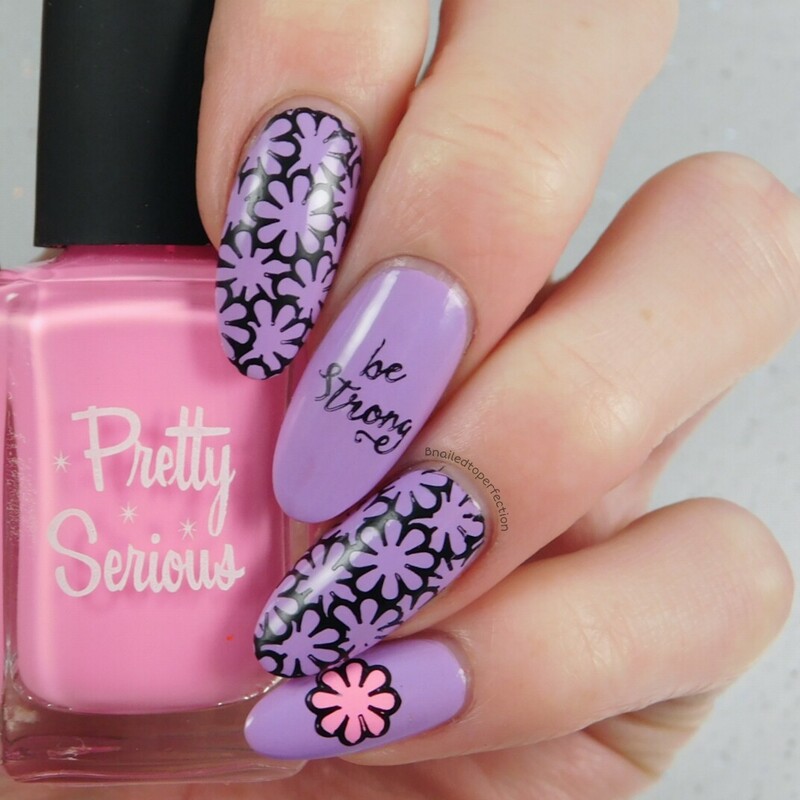 I stamped over Cutie Patootie and coloured in a coordinating flower with Fluffikins, both from Pretty Serious. The image on my middle finger is from Uber Chic 3-03. The mani was for a lovely lady on Instagram that is having a rough time right now and a load of us wanted her to know that we are here for her. With plate 1 I had a few things in mind but when I painted on No Buy from Pretty Serious I totally changed my mind on what to stamp. These images just really caught me eye and I thought they would look nice stamped in gold...and I think they do. 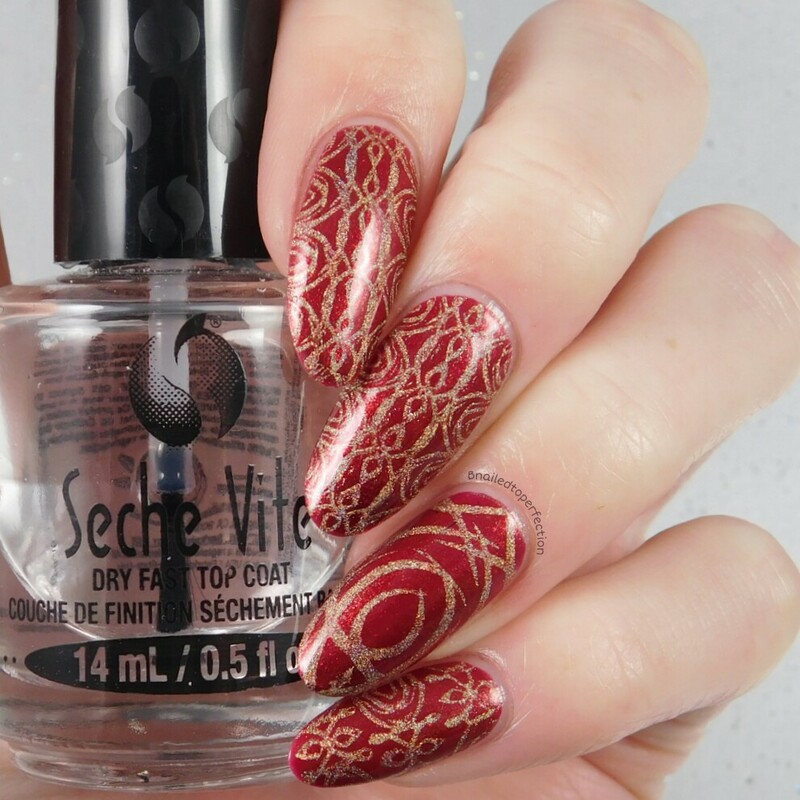 The gold stamping polish is Glint of Gold from Hit The Bottle. More and more layered images are cropping up on the Uber Chic plates and I am loving them! This one is from plate 3 and I just automatically thought of leopard print colours! I know it's not a leopard print design but it just kind of reminded me of it. The base colour is Bare by Virago Varnish. Then I stamped the black, brown and finally the gold. I messed up on my pointer finger but lets just ignore that! I can't believe Uber Chic have released yet another collection! How do they keep coming up with these images?! 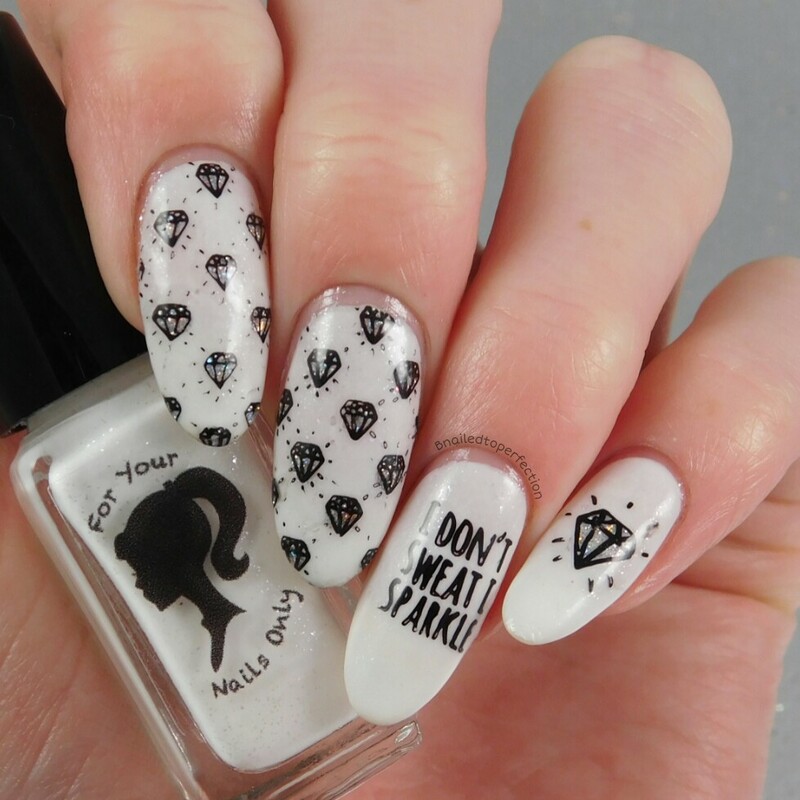 This collection is £20.40 on Nail-Artisan as well as lots of other nail art goodies! What do you think of this collection? Which mani is your favourite?